When I was in Australia there was a lot of talk about the danger of shark attacks. I saw photos of beautiful young girls missing an arm, Shark attack! I saw photos of young athletic men without a leg, Shark attack! Living in the Judean desert I do not venture much into the water, and our only body of water, the Dead Sea, has no sharks. And yet I became aware and alarmed. I was told, when I was in Perth, Australia, not to wear certain types of diving outfits as it would make me look like a dolphin (never been told that before) and would be easy prey for a shark. I was given tips on how to avoid being attacked by a shark. Trust me I will avoid swimming in Australia, although I know the odds of a shark attack are really quite small. Such is life, we fear the exaggerated and we exaggerate our fears. And yet we ignore the real dangers. Often our fear is misplaced. We worry about things that are not major threats but we avoid the real dangers, which are closer to home. And so I recently read a post that deaths by Selfies trump death by shark attacks by fifty percent. For those who are like me, a little behind the times, Selfies are photos one takes with their smart phones by pointing the camera at themselves. So, this has lead to many deaths, how? People stand near trains, clips, wild animals, bodies of water, and point the camera at themselves and fall backwards, or get hit by a train, or attacked. And yet I never hear anyone concerned about death by Selfies, despite evidence that is more dangerous that shark attacks. Self defense is not always about fighting sharks or wrestling alligators. It is not always about being a great MMA fighter or body builder. It is not about being Iron Man or surviving boot camp. It is about being careful and aware in your daily life. Yet this part of self defense is less glamorous. It does not "sell" as well. My friend, mentor and teacher Prof. Cohen often stressed the simple things that others ignored. He taught me about the reality of the street, gang behavior, and what to look out for. Little of this involved great physical abilities. He was also frustrated by people's lack of interest in being open to new realities and he saw the faults in our security systems. We fear sharks but we ignore the dangers of Selfies. We ignore what is obvious and all around us and prefer exotic, exciting defenses. The shark attacks in our lives wake us up, we get all worked up about it, and yet the truth is they are quite rare. I saw a dear friend yesterday, she is finally able to walk using a walker. She smashed her knee cap totally. How? In combat? no, she slipped and tripped over her own feet on a bright sunny day. We do not fear the ordinary. It used to be different. When I was growing up in Israel we had an acute awareness of real dangers and it became part of our culture. In those days the terrorists were less blatant, more afraid of approaching adults, so they targeted children. Every classroom I ever sat in had the same poster; a list of suspicious objects that we kids were to avoid at all costs. To this very day I am incapable of picking up a stay toy on the street, for fear it will explode in my hands. Such is the power of proper condition and habit formation. And yet we lack this today. I was brought up in Israel in the shadow of the Holocaust, every child learned to be aware of the real dangers lurking just around the corner and in our school yard, bus stops and play grounds. We were not super athletes but we were super aware. Beware the Selfie more than the Shark Attack. At IKI Krav Maga we stress awareness, simple and effective self defense techniques, understanding real dangers. Simplicity works where complexity fails. We are keeping it real. 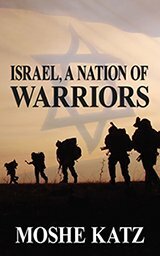 Growing up in Israel; war, terrorism, and the spirit of fighting back.